Diwali – “The festival of lights” is one of the most auspicious days in the Hindu calendar. The day also marks the start of a new year. People all over the world celebrate the day by decorating their houses with beautiful candles and oil lamps, sharing sweets, lighting firecrackers. And they hope that the New Year brings joy and prosperity for them and their loved ones. 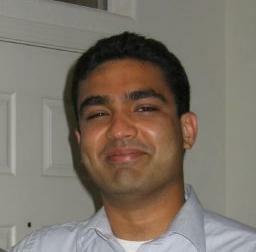 Anuj was always full of energy, and particularly enthusiastic around this time of the year. Be it decorating the house by putting up lights or going to buy sweets for the occasion, Diwali seemed to put extra exuberance into him--an energy that had a contagious effect on everyone around him. Anuj continues to live inside each and every one of us. He continues to inspire us with his positive energy and hope as we step into a New Year. 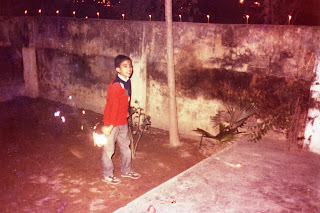 Anuj holding a Sparkle. Diwali, 1988. Anuj with Dad and Kapil. 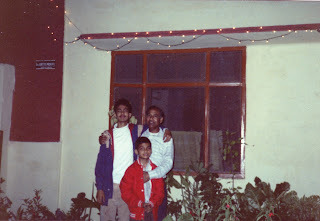 Diwali, 1993. Another image of the plaque dedicated to Anuj. Some of the students and faculty who were in attendance when the plaque was put up in the office.